There is a project that is involving people from many countries of Europe. Its aim is to discuss the EU issues and protest against Brexit and other events undermining the European Union. In this interview we spoke with Leo Bue, from AEGEE-Aachen, and he told us more about the project, the feedback of some supporters and the situation of basic rights in Europe. 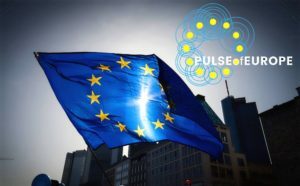 The AEGEEan: What is “Pulse of Europe”? 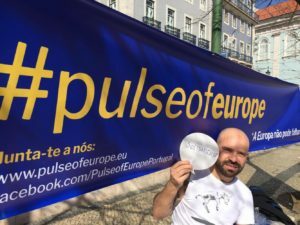 Leo Bue: Pulse of Europe is a pro-European initiative, which was founded in 2016 as a reaction to Brexit and the presidential elections in the USA. After those elections, there were massive protests against the results. 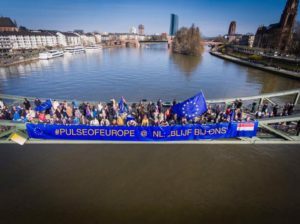 Pulse of Europe wants to be visible beforehand: before the elections in the Netherlands, France and Germany. We do not want to be the “silent majority” anymore, but a visible crowd standing for a peaceful, borderless and cooperating Europe. How do you think to have an influence upon the vote of the next presidential elections in France, for example, and the ones in Germany? I think our impact is to be visible as the pro-European crowd. In the past months and years, the critics of the EU became louder and very visible in the media. Now, we want to be loud and visible in favour of the European project. How can AEGEE people join the project? The easiest way to join is to participate! 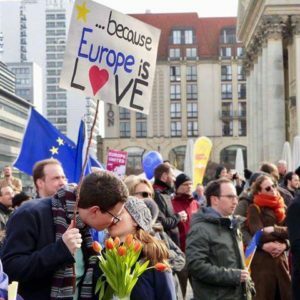 There are over 60 European cities where Pulse of Europe takes place every Sunday at 2 pm. You can find them here. 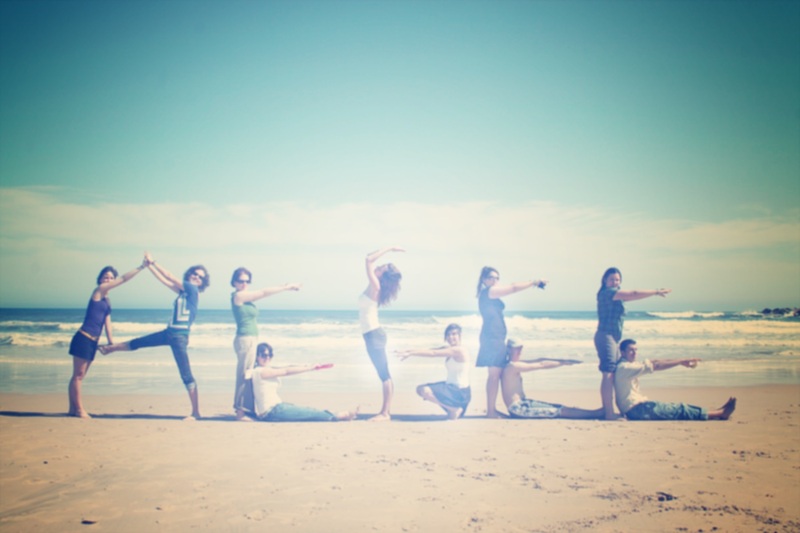 Contact the initiators from Frankfurt. Call the police and tell them you want to register a demonstration. Ask your (AEGEE) friends to meet at 2 pm in blue and yellow. Why did you translate your website into so many languages? The web page is translated into German, French, English, Polish, Portuguese, Spanish and Italian. The goal of Pulse of Europe is to be spread all over the continent. So, there is still missing Dutch, Greek, Lithuanian, etc. Why do you say there is a current threat to peace in the European Union? We all have seen that people chose Brexit. If other member states decide to leave, the European project is going to fail. I fear a missing discussion between the states’ interests, which could, in worst case, lead to conflicts and war; our own history predicts this. How can a society oppose destructive and backward-looking tendencies? Being aware of the danger. Standing up and opposing those who do not care about or welcome this danger. Speaking out about the EU’s problems. Working on the problems and helping to make the EU better instead of destroying it. What do you mean with “basic freedoms”? What is the situation of the basic rights and the rule of law in Europe? We can see many problems in different states with freedom of the press and democracy. There is obviously no effective control if a government chooses to violate general European principles or bend them in its favour. Same about the refugee crisis. Same about tax-havens. The same is true for almost every negative development, like the economic criteria that was once agreed on. The EU, or more so the national states, do not live up to the standards they proclaim. What kind of reform is necessary to improve Europe? In my personal opinion, the most important reform is the European Parliament’s right of legislative initiative. This means the parliament has the power to make laws proposals independently and could cure a lot of EU problems in a democratic way. Also, the voters have to hold their politicians accountable for what is wrong in Europe and not only focus on their national level. How can we preserv e regional and national identities in Europe? I do not think that is a problem at all. Maintain your own (regional or national) culture, share it with others and learn about theirs. Can you tell us the feedback about Facebook and Twitter pages? It is not bad, Facebook is one of our main tools to spread the message. Most people are supportive, even though we had a few trolls. If politicians speak, it is always a bit tricky since we are non-partisan and people really care about that. Did you find any supporters until now? If so, from which countries? 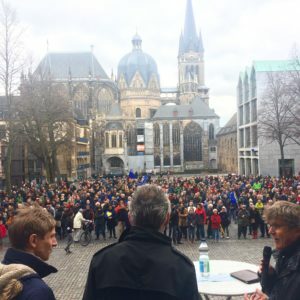 Last week, we had 900 participants in Aachen, over 30.000 people on the streets in all cities together. This supports us the most. Here are two comments of AEGEEans that participated in other cities. “I was in Stuttgart and Munich: in Stuttgart there were 200 people, in Munich last week 1500. I participated in Pulse of Europe because I feel that I have benefited from so many things since 1989. We did grow up with an ever uniting Europe that is now facing severe obstacles, and we cannot NOT stand up for Europe. I feel goose bumps every time someone speaks at the open microphone and I feel even more European now”. ← Why Consider an Internship in the USA?